Cyclone Phailin has not taken many lives but has left behind a trail of destruction that severely cripples people’s livelihood. What did it take to save so many lives in the face of a potential killer? A Down To Earth analysis with a rider: should saving lives be the only mission of disaster preparedness? On the night of October 12, when cyclone Phailin crashed into Odisha, Basanti Jena of Boitalupatana village in Jajpur district relived the super cyclone of 1999 that had battered the state and killed about 10,000 people. The following morning, when she emerged from her house, she sighed with relief: no one in her village had died. Like Jena, the entire country had feared the worst. Phailin, with winds of more than 200 kilometres per hour, was the second fierce cyclone to hit India in 14 years. But it killed only a few—22 by the state government’s reckoning. The Centre as well as the governments of Odisha and Andhra Pradesh, which also lied in the path of Phailin, had braced up for the disaster. In its effort to achieve “zero human casualty”, the Odisha government had evacuated within 36 hours more than 900,000 people to 247 cyclone shelters and thousands of schools, rebuilt to double as shelters after the 1999 cyclone. Officials termed it as one of the biggest and most rapid evacuations in India’s history. This was indeed a high point in the country’s otherwise pathetic disaster management record. For the Odisha government, it was a saving grace. By October 13, Phailin began to weaken and crossed five states before dissipating in Nepal on October 17-18. There was widespread euphoria over the meagre death toll. People began to feel they had dodged nature’s fury. But the relief was short-lived. Within hours, as Basanti turned to take stock of the damage, another disaster hit her. A severe flood caused by incessant rains in the aftermath of Phailin marooned her village. She remained cut off for two days. The flood was foretold. The India Meteorological Department had warned of heavy rains for 48 hours after the cyclone and floods in six major rivers—the Budhabalanga, Bansadhara, Baitarani, Bramahani, Kani and the Rushikulya. Andhra Pradesh, which had escaped the cyclone hitting straight, could not avoid the floods. The government evacuated 100,000 people from five coastal districts. In Odisha, the rivers inundated six of the 17 cyclone-affected districts, including the worst-hit Ganjam. The state government was ill-prepared to tackle this situation. 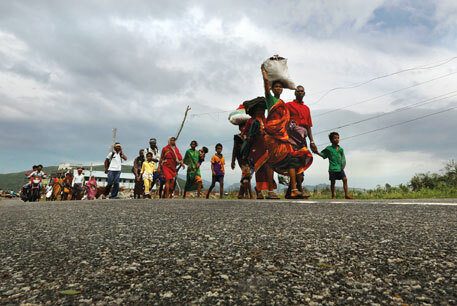 As villages remained marooned, those evacuated ahead of the cyclone could not return home. The government extended its relief strategy by a week, initially designed to last for three days after the cyclone. There were just 4,600-odd relief shelters, including private concrete houses, to cater to the need of an additional 160,000 people. Shortage of food and lack of drinking water and sanitation facilities soon turned the overcrowded relief shelters into a living hell. According to unofficial estimates, about 500,000 people were in relief camps till a week after Phailin hit Odisha. “Waste is building up. Most people are living in makeshift camps with no sanitation facility,” Biraja Pati, social activist in Kendrapara district told a Down To Earth correspondent visiting the flood-hit area. “We do not have access to clean drinking water and face the risk of diarrhoea and other diseases,” said Debendra Jena of Bari block in Jajpur district. As water began to recede, thousands of families started returning home. Those rendered homeless, however, remained in shelters till the magazine went to print. According to the Odisha government, the cyclone and the ensuing flood affected close to half of the state’s population across 10,053 villages. 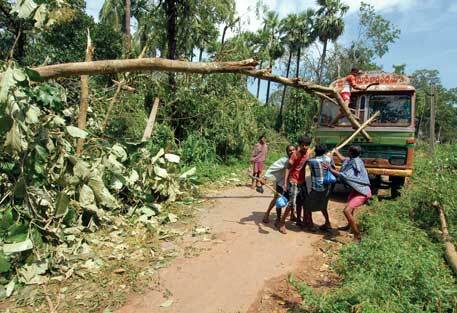 Over 90 per cent people were affected in Ganjam, where Phailin made landfall. The government estimates that the district alone will need close to Rs 500 crore to rebuild. This questions the government’s cyclone management. India’s eastern coast has a long history of devastating cyclones. According to hurricane hunter and meteorologist Jeff Masters, 26 of the 35 deadliest tropical cyclones in the world history have been storms of the Bay of Bengal. 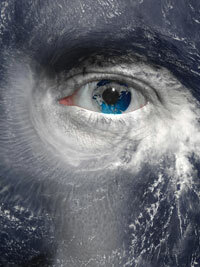 With rising global temperatures, extreme cyclones are becoming more frequent. Despite this, since 1999, the eastern coast has witnessed rampant industrialisation and urbanisation, making the region more vulnerable to natural disasters. But the government did not consider this aspect as it embarked on what it calls “foolproof disaster preparedness”. Phailin will no doubt be remembered for one of the biggest and most rapid evacuations in India’s history, if not the biggest. But the hype that it is the government’s disaster preparedness that is responsible for the success is misleading. Arguably, Phailin is India’s most closely monitored cyclone. From October 8, when the tropical depression developed into a cyclonic storm, six satellites and 70 weather experts tracked its evolution and movement using data from field observation offices. Unlike in 1999, when the India Meteorological Department (IMD) had just two days to declare that a super cyclone had formed in the Bay of Bengal, it started disseminating warnings about Phailin on October 8, some four days before it made landfall at Gopalpur in Odisha’s Ganjam district. By October 12, IMD had released 45 weather bulletins through an array of public communication systems and extensive media outreach in Delhi, Odisha and Andhra Pradesh. Each bulletin reached people within 10 minutes. It seems investments in science and technology and improvements in weather forecasting and disaster preparedness are paying off. “We have been improving our observation system,” says L S Rathore, Director General of IMD. During the 11th Five Year Plan (2007-12), the government turned around the weather forecasting system after creating a separate ministry for it, called the Ministry of Earth Sciences. The weather office acquired 675 state-of-the-art automatic weather stations, 1,024 automatic rain gauges, a dozen highly-specialised weather radars, each covering 250-300 kilometres, as well as monitoring, analysis, visualisation and product dissemination systems. India’s weather forecasting system now gets observations from land stations, ships, buoys in oceans, specialised aircraft and satellites. Every day it receives 21 million reports on weather. High-performance computing systems better analyse these data, reducing error margin. To keep an eye on weather conditions in real time, 24X7 monitoring systems are also in place. “Efforts are under way to improve the forecasts,” says Rathore. Earlier, IMD depended only on satellite images that do not give accurate information. 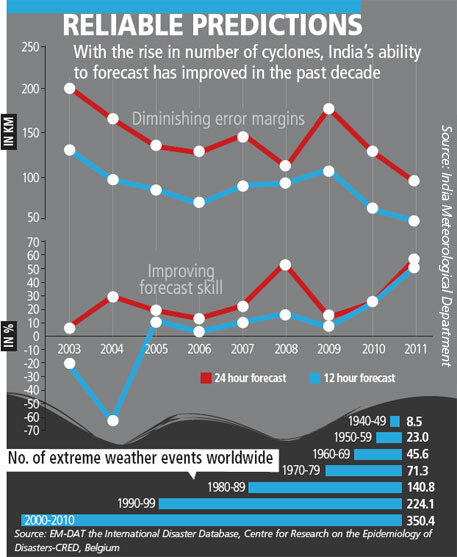 The storm management model of the Centre for Atmospheric Sciences (CAS) of the Indian Institute of Technology (IIT)-Delhi, which helps IMD predict cyclone and related weather events, has also improved over the decades. “It was the Bangladesh (then East Pakistan) cyclone of 1970 which woke us up to the need of prediction of cyclones and we started collecting data,” says A D Rao, head of CAS. The model for prediction of storms was developed in the early 1990s. It is based on two parameters—radius of maximum wind and pressure associated with a cyclone. When the super cyclone hit in 1999, the model was fed with two-and-a-half decades of data. Today, we have improved models with four decades of data. Scientists in India can now track a cyclone more precisely. The satellites have improved, too. “In 1999, we had INSAT 1 and 2. Now we have Megha-Tropiques and Ocean SAT-2. The resolutions of satellite cameras have increased by eight times giving us better pictures,” he adds. This makes predictions far more reliable (see ‘Reliable predictions’). To add to the scientific perfection, the government has recently set up three agencies—the National Disaster Management Authority (NDMA), National Disaster Response Force (NDRF) and the National Institute of Disaster Management (NIDM)— under the Disaster Management Act of 2005. The Act came into being in the aftermath of super cyclone of 1999 and Gujarat earthquake in 2001. “With 2,300 personnel, NDRF was the main force working to evacuate people ahead of the cyclone,” says K J Ananda Kumar of NIDM. NDMA managed the channel of communication from the Centre to district levels. Timely communication ensured that people were alerted well in advance and the authorities got three to four days to prepare and remove people from vulnerable areas. Both the Centre and state governments were proactive in reducing the potential impact of Phailin. Their strategy changed from disaster response to disaster preparedness. Four key Union ministries—the Ministry of Home Affairs, Ministry of Defence, Ministry of Earth Sciences and the Ministry of Health and Family Welfare—along with a dozen state ministries and departments deployed 3,000 officials with clear description of jobs. This does not include the 5,000 defence and para-military personnel positioned to help in rescue and relief operations. The three arms of the defence ministry deployed 31 aircraft and anchored ships at crucial locations in the Bay of Bengal with ration stocked for 10,000 people for a week. 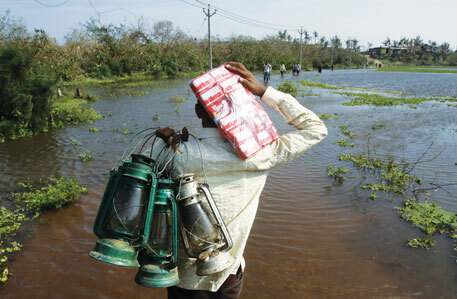 Both the states had galvanised some 40,000 employees for disaster preparedness. Their focus was to use IMD forecast and evacuate people to safe areas. Bitter lessons learnt from the 1999 super cyclone and 2004 tsunami also made a big difference. Andhra Pradesh has substantially improved its disaster management system. It has set up automatic weather stations at every 100 km along the coastline, which record even one mm of rainfall. These weather stations helped meteorologists get exact information on the cyclone and issue warnings. Odisha, which usually receives flak for under-preparedness, was laudably prepared. “In 1999, Odisha did not even have instruments to cut trees that blocked roads,” says M Shashidhar Reddy, vice-chairperson of NDMA. About 42,000 people had taken refuge in just 23 cyclone shelters built by the Indian Red Cross, he adds. Since then, the government has built 247 cyclone shelters along the coast, which double as schools, anganwadis and community centres to ensure maintenance. Locations for the shelters were identified through a scientific survey by IIT- Kharagpur so that no person travels beyond 2.25 km or crosses a natural barrier in the event of calamity. The shelters are designed to withstand wind speed of up to 300 km/hr and moderate earthquakes. Its plinth is above the high-flood line and stands on a stilted floor, which makes it withstand a storey-high storm surge. The government also upgraded school buildings in vulnerable areas so that they could be put to use as community shelters during emergencies, and trained 3,000 volunteers in disaster management. All these measures came in handy when Phailin struck. Moreover, its destructive potential was considerably low compared to what Odisha had witnessed in 1999 (see ‘What reduced Phailin’s impact’). This was crucial in making the government’s disaster preparedness a success. Cyclones routinely rise in the Bay of Bengal, whip up terrifying winds and dump part of the sea onshore. The devastation they cause, however, is not equal. Its destructive potential is determined by several factors—the speed at which it moves, wind speed within the cyclone, radius of the maximum wind speed and topography of the landfall. “Our calculations show the severity of Phailin was much lower than that of the 1999,” says A D Rao, head of the Department of Atmospheric Sciences at IIT-Delhi. 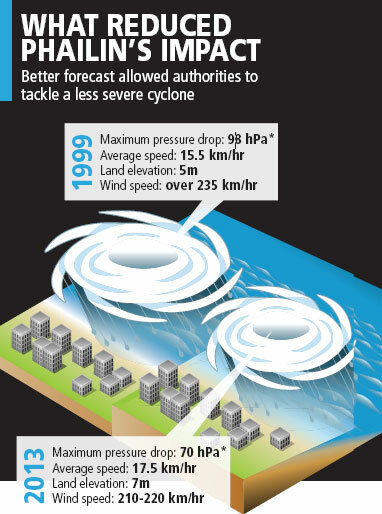 In 1999, the wind speed was more than 235 km/hour, making it a super cyclone. This time it was 210-220 km/hour, restraining it to the category of very severe cyclone. Initially, an American agency called it a super cyclone. But later the wind speed of the cyclone reduced, its category changed to a lower level. “The cyclone’s speed this time was greater, which means it stayed at a given place for lesser period, causing less destruction,” says Rao. 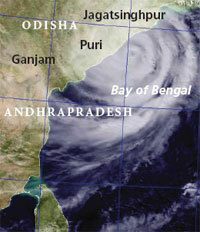 The super cyclone of 1999 hung near the coastline for almost 11 hours, causing maximum damage. Phailin made landfall three hours after the predicted time. Besides, Phailin made landfall on an elevated area. Seafloor of the Bay of Bengal rises from south to north. Gopalpur is about 200 km north of Paradip. Higher seafloor elevation ensured that the storm surge, or height of the water within the area of the cyclone, remains low. Similarly, land in Gopalpur is at a higher elevation compared to Paradip, which reduced the effect of storm surge on land. All these factors together did a big favour to the people of Odisha, who faced a storm much milder than expected. Sure, Phailin was less severe than the super cyclone of 1999. But it had a wind speed of 210-220 km/hr, enough to claim lives. As district administrations across Odisha and Andhra Pradesh alerted people about the impending danger, communities rose to the exigency. Seventy-year-old Zahir Khan from New Venkat Raipur village in Gopalpur, where Phailin made landfall at 223 km/hr, cheers up as he recounts how his village escaped from the cyclone’s fury. “People united as TV channels started flashing news about Phailin on October 8. For three days we made elaborate plans, preparing for the worst. Though the Ganjam district administration had sent two bags of rice and 20 kg of pulses two days before the cyclone, we stocked enough food, drinking water, torches and medicines at the village primary school,” he says. Since the three-room school could not have accommodated the 1,200-odd population of the village, the sarpanch (village head) drew up a list of two-storied concrete houses in the village and asked the owners to accommodate a few families in their houses, he adds. Khan, who claims to have seen four cyclones in his life, was surprised at the response of the people to Phailin. People across eastern Odisha have similar stories of survival to tell. Efforts also came from the unexpected quarter. The self-help group (SHG) movement has gained importance over the years as the government implements several poverty- alleviating schemes through SHGs. The vulnerable pockets have palpable presence of women SHGs who emerged as saviours during the disaster. The Bay of Bengal is clearly visible from the yards of most residents of Ambiki village in Jagatsinghpur district. On October 29, 1999, death danced in its ugliest form in this village, killing 460 people. Fourteen years later, when Phailin struck, women took charge. “On October 10, president of our village SHG called an emergency meeting,” recalls Basant Giri, who had lost 12 relatives in 1999 cyclone. “It was attended by 120 women who decided to persuade all residents to leave for safer places. By the next day afternoon, cyclone shelter and village schools were packed like sardines. We clung to each other and survived,” she recounts. On the morning of that fateful day, scores of fisherwomen in Kharinashi, a seaside village in Kendrapara district of Odisha, made their way to the fishing harbour to help their husbands tie up their fishing boats. They pursued all fishers in the harbour not to venture into the sea. “Usually the fisherfolk discount cyclone warnings. This was the first time, they moved to cyclone shelters along with others,” reminisces Shanti Haldar, SHG member. In another fishing village, Baxipalli, in Ganjam fishers voluntarily packed their bags and took refuge in the cyclone shelter. In villages like Sahan in Puri, which did not have a cyclone shelter, people braved the gusty wind and incessant rains and trekked to reach cyclone shelters in nearby villages. Bitter lessons from the past had instilled this voluntary preparedness among communities. In Puri’s Nuagarh village, residents pooled money to purchase a radio set. They placed it in the school, where all the 120 residents had holed up to get latest weather updates. “We lost seven lives in the 1999 cyclone. This time we followed the predictions and took adequate precautions,” says resident Buddheshwar Kandi. In Sandhakuda village near the Paradip port, Rabindra Mohan Sanhoo, president on non-profit Rushikulya Sea Turtle Protection Committee, mobilsed the village youth and helped about 1,400 residents to leave their houses. “I remembered my children as I helped hundreds of people leave the seaside,” says T Alia, a resident. He had lost two sons and a daughter in the super cyclone. There was also no dearth of individual efforts to beat the calamity. 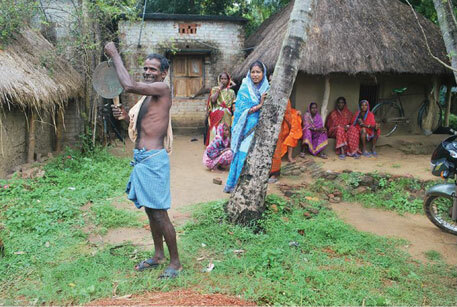 In Trilochanpur village in Jagatsinghpur district, Laxmidhar Mallick walked through his village beating a gong and singing a couplet since the morning of October 12, warning about the impending cyclone. Though there were microphones and mobile phones alerting people about the disaster, the 62-year-old did not want take chance and stuck to the traditional way of warning. “’Zero loss of life’ was our mission and we achieved it,” says Niranjan Nayak, district collector of Kendrapara. “Credit goes to the communities, government officials, police, panchayat members and SHGs,” he says with a sense of relief. P K Mohapatra, Special Relief Commissioner of Odisha, hailed disaster management committees at the village panchayat levels for helping the district administration evacuate some 900,000 people ahead of the cyclone. Since 2000, Odisha has not only created cyclone shelters, equipped with disaster management tools like power saw, siren, utensils, water tank, solar light, life buoy and life jacket, inflatable tower light and generator, it has handed over the management to village-level committees. Members of these committees act as volunteers and are trained in disaster management. 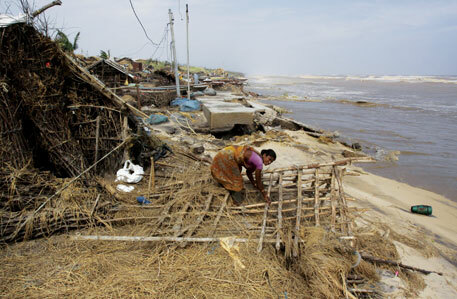 There are 200 such committees in six coastal districts affected by Phailin. On June 19 every year, the district authority conducts mock drills in collaboration with the National Disaster Management Authority to review their preparedness. Bhibhuti Bhushan, head of Panaspada panchayat’s cyclone shelter committee, says, “We evacuated close to 2,000 people without the government help. Disaster management trainings helped us do so.” Panasapada, an island in Chilika, was not accessible till the magazine went to print. The response from the community was so intense that people left the shelters as soon as the cyclone dissipated in the wee hours of October 13. “There was a remarkable change in the attitude of the people,” says Prabhakar Mishra, sarpanch of Nuagarh village in Puri. Earlier, they would be more interested in getting free relief material. This time, they rushed back to reconstruct their houses, though the damage was not as severe as in 1999, he adds. Phailin destructed 376,921 houses in Odisha. Behind such a low damage is a mesh of community collaboration and economic rise of people. Post 1999, villagers in a bid to protect their lives decided to make their houses stronger. Those who could not afford to build concrete houses, built brick walls and covered them with straw and thatch,” says Padmanabhan, sarpanch of New Venkat Raipur in Ganjam. Before 1999 nearly 70 per cent of the houses in the panchayat were made of mud. Now 80 per cent of the houses are made of bricks and cement, he adds. These helped contain the damage. Roofs blown away in the wind were back in place within 72 hours due to strong community feeling. After Phailin, people resorted to barter system. Those families with bamboo orchards exchanged bamboos with straws or logs to build the roof. Andhra Pradesh, despite its advanced early warning system, faced a unique problem. “We had to shift more than 100,000 people. By god’s grace we got 96 hours to reach communities,” recalls T Radha, relief commissioner of Andhra Pradesh. But most of them were fishing communities. Usually, fishers do not pay heed to storm alerts. “When officials ask them to evacuate ahead of a disaster, they simply deny. They claim to be the gangaputra, the son of the Ganga. The only person who can persuade them is the community head, known as pedakapu. I asked district collectors in the coastal region to talk to pedakapus,” says Radha. It worked and the fisherfolk voluntarily moved to safer areas. Officials allowed 10 youths who could swim in each community to stay back and protect the properties. The newly elected village heads also took a proactive role and sent text alerts to almost all fishers to return from deep sea fishing. When two cyclones hit coastal Andhra Pradesh in 1996 and 1999, Ham radios and a few wireless sets were the only means of communication. Today, almost all fishers carry mobile phones, which came in handy. Lives were saved. But most fishers have lost their fishing boats and nets. Like other Phailin survivors they are now preparing for another struggle: earning a living. While early warnings and effective evacuation proved to be a game changer for government, studies indicate that mangrove forests might have played a crucial role in the process. A 2009 study of the Delhi University’s Institute of Economic Growth (IEG) shows mangrove forests brought down the death toll in Kendrapara district by 35 per cent during the super cyclone of 1999. The forests shielded the adjoining villages by slowing down wind speed. This time, in Praharajpur village in Kendrapara district of Odisha, Phailin ravaged 40 of 200 houses. Residents say the damage could have been worse had the mangrove forest not been there. “In neighbouring Sundrikhal and Pentha villages, which do not have mangrove cover, most houses have been washed away,” says Ravindra Behera, a resident. In 1999, only two persons died in Praharajpur while hundreds had died in nearby villages. “Our elders had planted mangroves along the coast in 1975 to prevent soil erosion. We realised its shielding potential during the 1982 cyclone,” says Balram Biswal, a resident. Since then, Praharajpur residents have started planting mangroves and constituted a committee to protect the forest. The committee appoints forest guards and penalises anyone who damages the forest. Today, a dense mangrove forest stands between the sea and Praharajpur. Residents harvest wood, honey and fruits from this forest. “The story of Praharajpur has inspired several coastal villages to create mangrove forests,” says Suresh Bisoyi of Regional Centre for Development Cooperation, a non-profit in Bhubaneswar. Small wonder that mangroves are staging a comeback in Odisha. Between 1944 and 1999, mangrove forest cover reduced from 30,766 ha to 17,900 ha, says IEG study. But over the past decade, according to the Forest Survey of India, mangrove cover along Odisha coast has increased to 22,200 ha. Is the government ready to face the bigger challenge of restoring means of living and lowering the impact of disasters? As Basanti Jena returns home after a week-long stay in relief camp, she is unsure about her future. Till October 12, her fields were full of ripe paddy and she expected a good harvest. But Phailin and the ensuing floods have destroyed her crops. At least 668,268 hectares (ha) of standing crops have been destroyed across the coastal Odisha, according to the initial estimates of the state agriculture department. This may seem a small area compared to the 1.2 million ha of standing crops destroyed by the super cyclone of 1999 and given that the net sown area in the state is 607 million ha. But in terms of livelihood it is a disaster for farmers in at least nine districts. Livelihood crisis lies ahead of 65 per cent of the population in costal Odisha depending on agriculture. The crop loss is estimated at Rs 2,300 crore, according to R S Gopalan, director of Odisha’s Agriculture Department. He was part of the state disaster management team. He says while people and cattle could be saved, crops took the full brunt of the cyclone. The biggest worry is saline water in farmlands. This appears to be limited to a few areas of Astarang block of Puri, although the full extent will be known only after detailed surveys are conducted. Trilochan Mohapatra, director of the Central Rice Research Institute (CRRI) in Cuttack, however, says heavy downpour over the week helped wash away excess salt from paddy fields. Rainwater filters into the soil, diluting the alkaline trail left by seawater. In pockets where there is standing saline water, we are advising farmers to irrigate such areas with freshwater. Paddy during the kharif season is already damaged. Farmers should prepare for the rabi season now and sow either vegetables or salt-tolerant varieties of rice like Luna Sankhi, he says. Luna Sankhi, however, performs best during the dry season. The catch is that Luna Sankhi is not easily available. However, Mohapatra says CRRI is working on ways to multiply the seeds. Despite the loss of kharif paddy, Gopalan has ruled out food shortages in the state in the coming months. Odisha produces 9.3 million tonnes of rice every season of which only 4.5 million tonnes is consumed in the state. “We are a food surplus state. We have a stockpile of 1.7 million tonnes,” he says. The government is considering the provision of interest-free loans to affected farmers once a report on the damage is ready. Chief Minister Naveen Patnaik has announced assistance for the affected families. Farmers who have lost their standing crops will be provided assistance after assessment by the district authorities. Despite these relief measures, the government is bracing itself for big trouble from the farmers demanding compensation. Talking to Down To Earth, Gopalan points out farmers cannot be provided full compensation for damage to crops as the rules state that only those farmers who had lost over 50 per cent of their crop would be compensated. “We provide relief money not compensation,” explains Gopalan, who fears protests and strikes by farmers would ensue in the aftermath of the cyclone. While loss to agriculture is unavoidable in case of cyclones, its severity could have been curtailed by protecting mangroves and casuarina forests along the embankment that act as a barrier between the sea and inland habitats. But the government, chasing its economic aspirations, did not factor in this aspect in its disaster preparedness. Worse, unplanned urbanisation and infrastructure development is in full swing at the cost of these natural barriers in coastal Odisha. The problem had hogged headlines during the super cyclone of 1999. Then the state government had decided to assess the vulnerability of the infrastructure to extreme weather events and to allow development after strict adherence. However, the mapping is yet to be done, points out the State Climate Change Action Plan. This is worrying given that 35 per cent of the state’s population and about 43 per cent of its urban population live in nine coastal districts. Figures indicate that disasters have not only become frequent, they are striking new areas. In 30 years, the average annual loss due to disasters has gone up 27 times. In the 1970s, the average annual property lost and damaged due to disaster was around Rs 14 crore. It went up to Rs 383 crore in the 1990s, according to the State Human Development Report of 2003. It is evident from the loss to infrastructure in this cyclone. According to the preliminary assessment by the energy department, the state has suffered loss of Rs 900 crore due to massive damage to power transmission and distribution equipment. Ganjam, which has completely lost its power systems, accounts for Rs 500-600 crore of the loss. Since 1999, the state has focused on fast industrialisation. While southern and western parts of the state have minerals and manufacturing industries, coastal areas are targeted for building export-oriented big-ticket projects like the Posco steel plant and ports. During 2010-11, the Odisha State Coastal Zone Management Authority received proposals for 46 projects, including 12 port projects. The authority recommended 12 of these projects to the Centre and is considering the rest. “Instead of promoting industries and real estate, the government’s focus should have been on regulating construction along the coast. Buildings should have been climate adaptive,” says Krishnan. “Industries have plundered mangroves along the coast. We have lost sand dunes and casuarina forests that act as storm barrier. This makes people and their property vulnerable to disasters,” says Biswajit Mohanty, environmentalist in Odisha. It seems people in the eastern coast will have to wait for another devastating cyclone to see the government’s “foolproof” disaster preparedness. Cyclone and subsequent floods have dealt a big blow to the farmers of the state. Paddy, maize, groundnut, vegetables and horticultural crops are destroyed in almost 18 districts. Kewda farmers of Ganjam and coconut farmers of Puri have suffered heavy losses. Fishermen across the coastal districts lost their assets. It would take years for these farmers to rebuild their lives and livelihood. The diversified and robust rural economy of the state faces a crisis. Migration and NREGA are no solution to this. A comprehensive plan for reviving the farm sector is needed.